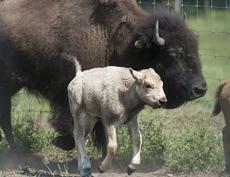 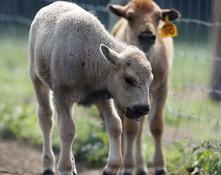 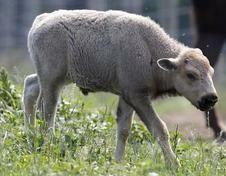 Mohawk Bison was blessed with the birth of a white bison, among the rarest of animals, on June 16th 2012. 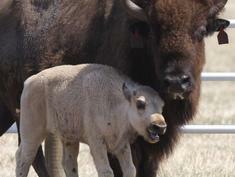 The miracle calf was named Yellow Medicine Dancer at an elaborate ceremony held at the farm. 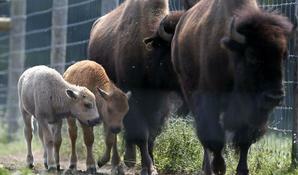 Hundreds of people, including tribal elders from South Dakota, gathered to celebrate his birth. 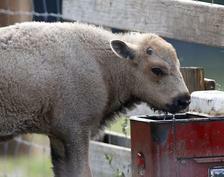 He is and will always be a part of the herd at Mohawk Farm, where he is exceptionally cared for and cherished, along with the others.